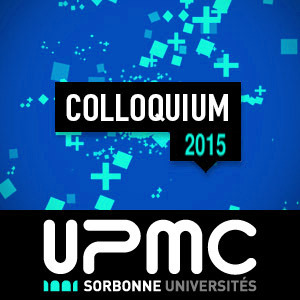 Le colloquium Pierre et Marie Curie présente des exposés consacrés à la physique contemporaine et aux disciplines connexes. Ces exposés sont destinés à tous les étudiants et à tous les enseignants et chercheurs mais plus particulièrement aux étudiants de master et aux étudiants en thèse. Les exposés ont lieu soit en français soit en anglais. Fluid transport at the nanoscales is one of the remaining virgin territory in uid dynamics, in spite of hydrodynamics being a very old and established domain. Over the last years, a number of striking phenomena have been unveiled, such as superfast ows in carbon nanotubes or graphene oxides membranes, and manyof them are still waiting an explanation. A major challenge to adress the fundamental properties at the nanoscales lies in building distinct and well-controlled nanosystems, amenable to the systematic exploration of their properties. To this end, we have developed new methods based on the manipulation of nanoobjects, displacing, cutting, and gluing these elementary building blocks. This allows us to fabricate original fluidic and mechanical systems involving single nanotubes. I will first discuss fluidic transport inside single nanotubes, made of both carbon and boron-nitride materials. Putting osmotic transport and its fundamental origins into perspective, I will show how to harvest this powerful mechanism beyond the classical vant Ho_ law. Experiments of osmotic transport across boron-nitride nanotubes show unprecedented electric energy conversion from salt concentration gradients, thereby unveiling new perspectives in the field of osmotic energy harvesting from salinity gradient. I will then show that nanoscale confinement allows building more advanced uid transport functionalities, such as ionic or osmotic diodes. This opens new avenues in membrane science for energy harvesting and desalination questions. Physical units based on fundamental constants changing with time ?